Today we explore what it truly means to live healthy and well. It’s obvious that diet and exercise play a crucial role in this equation. Of course, mental health is key. And we’re waking up to the importance of meditation and mindfulness. But what about spirituality? What role do connection, relationships and love play in the wellness equation? And how important is purpose? In truth, attention to all such factors is crucial. Because they are indeed connected. Interdependent. And absolutely necessary to live your best life. 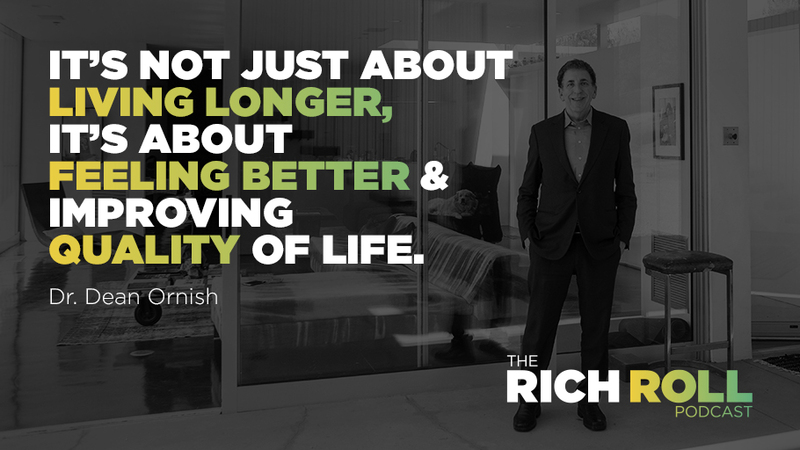 Our guides for this discussion are Dean Ornish, MD & Anne Ornish — the world-renown, pioneering power couple of lifestyle medicine. An early advocate and practitioner of preventive medicine long before it was trendy, Dr. Ornish is an absolute legend in the plant-based nutrition movement for his groundbreaking work in the holistic prevention and reversal of chronic lifestyle diseases such as atherosclerosis, America’s #1 killer. Perhaps best known as the doctor who assisted President Clinton post heart procedure, Dean was trained in internal medicine at the Baylor College of Medicine, Harvard Medical School, and the prestigious Massachusetts General Hospital. He is currently a Clinical Professor of Medicine at the University of California, San Francisco and the president and founder of the nonprofit Preventive Medicine Research Institute in Sausalito. The author of six best-selling books, Dean was recognized as a “Time 100 Innovator”; by Life magazine as “one of the 50 most influential members of his generation”; by People as “one of the most interesting people of the year”; and by Forbes as “one of the world’s seven most powerful teachers. Highly trained and experienced in lifestyle medicine, yoga therapy, mobile applications and web design, Anne Ornish is extraordinary in her own right. The creator behind Ornish Lifestyle Medicine’s digital platform, Anne is the powerhouse behind a new paradigm for health care by way of a groundbreaking program that trains health care professionals to support healthy lifestyle progression, better clinical outcomes, larger cost savings, and better adherence than ever before documented. Together they have co-authored a fantastic new book entitled, Undo It! : How Simple Lifestyle Changes Can Reverse Most Chronic Diseases — a comprehensive and scientifically proven plan to help you prevent and reverse everything from cancer and diabetes to heart disease, weight gain, and even the aging process itself. A must read, it bookstores everywhere January 8 and is currently available now for pre-order now. Given Dean and Anne’s background, it would be fair to suspect that today’s conversation would be monopolized by diet. 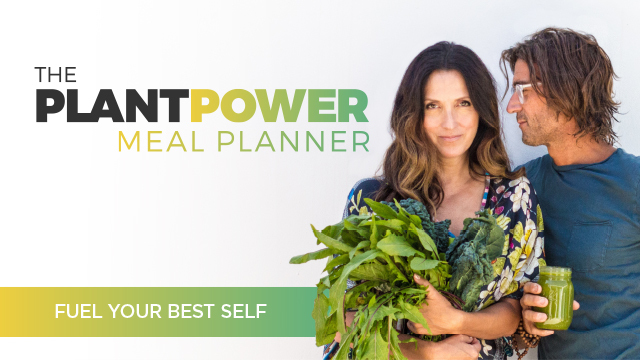 Of course we cover nutrition, including the scientific, peer reviewed research supporting the benefits of a plant-based lifestyle and how it measures up against other popular diet and nutrition protocols. But this exchange is also about the myriad of other crucial (and often overlooked or under-appreciated) factors imperative to consider in our personal health, wellness and longevity equation. We discuss the destructive role of stress and anxiety on the immune system. We go deep into mental health, our epidemic of depression and the curative impact of mindfulness and meditation. We explore the role of connection, meaningful relationships, intimacy and love on disease prevention. And we stress the importance of finding purpose as crucial to living truly well. But more than anything, this is a conversation not just about how to live well and long, but the why behind that desire. I’ve had the good fortune of hosting many a medical luminary on this show. But Dean Ornish stands above as the one doctor I’ve wanted to connect with ever since I began my journey. It took twelve years, but here we are. My hope is that his work will profoundly impact how you think, live, eat and breathe as we usher in 2019. Outerknown: Founded by pro surfer Kelly Slater, Outerknown is “For the people and the Planet” — high quality, environmentally sustainable clothes that fit great and are made to endure. Visit: Outerknown.com today and enter promo code RICHROLL at checkout to receive 25% OFF your full price order. Pre-Order Anne & Dean’s latest book: Undo It! : How Simple Lifestyle Changes Can Reverse Most Chronic Diseases* now! Available everywhere January 8th 2019! Dr. J. Craig Venter: biotechnologist, biochemist, geneticist, and businessman. Known for being involved with the second draft sequence of the human genome and assembled the first team to transfect a cell with a synthetic chromosome.